Nuclear inspectors have begun their examination of Iran's nuclear plants, according to an Iranian state-run news agency. The state TV station reports that a United Nations nuclear watchdog group has arrived at an Iranian heavy water plant that the government agreed to present for inspection last month. The inspectors are at the Arak plant, about 150 miles southwest of Tehran, where Iran recently suspended plans for a plutonium reactor, while United States President Barack Obama continues to defend the temporary nuclear deal and push for a permanent solution. On Saturday, Obama said that the chances of a permanent nuclear deal are still not certain, and emphasized that the reduction in sanctions against Iran is very small. But, he said, peaceful negotiations are still the best way to ensure that the country will not develop nuclear weapons, and that the temporary agreement is a trial period. "It is important for us to test that proposition during the next six months," he said. It is important to come up with "a comprehensive, verifiable, diplomatic resolution, without taking any other options off the table if we fail to achieve that," Obama said. "If and when Iran shows itself not to be abiding by this agreement, not to be negotiating in good faith, we can reverse them and tighten them even further." But Obama's assurances bring little security for Israeli Prime Minister Benjamin Netanyahu, who has long criticized the proposed deal with a country whose leader he describes as a "wolf in sheep's clothing." "This is a regime committed to our destruction," he said at a Brookings Institution forum this weekend. Netanyahu called the agreement a "historic mistake" and got a visit from secretary of state John Kerry about its security concerns last week. Now, he said that "the jury is still out" on Iran's true intentions. Netanyahu spoke at the forum soon after Obama's appearance there, and said that, "I don't think any of us can overstate the Iranian danger." Though a multi-country team of negotiators has been working on securing a deal that will stop Iran from acquiring nuclear weapons, Israel's continued skepticism and harsh rhetoric has been making those efforts more difficult. 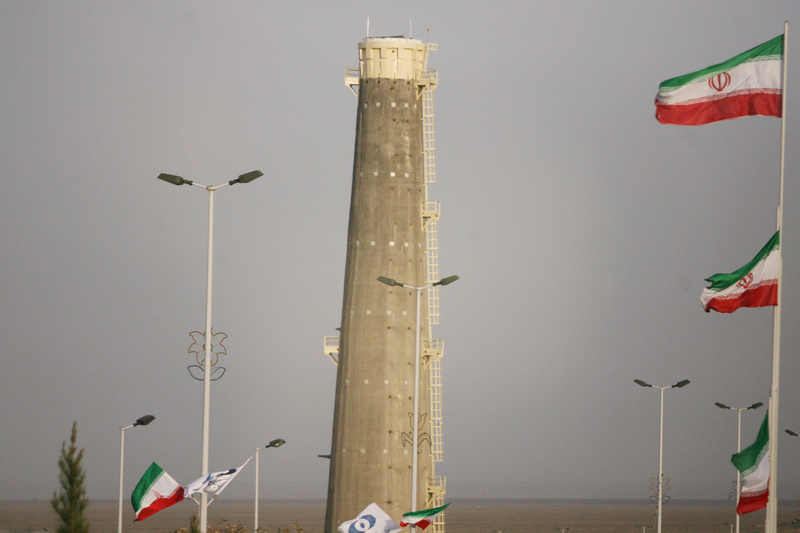 Iran insists that it wants to enrich uranium solely for peaceful, energy purposes, but these statements have been met with skepticism from Israel and its allies.